On this the eve of Veterans Day my thoughts are of the men that gave so much for us and our country. I would like to pass along a letter my father wrote that honors those who have served our great country. Dad was very quiet when it came to the “Big War”. He quietly joined the Navy after the Japanese devastated Pearl Harbor. He didn’t even tell me he was going to do it. 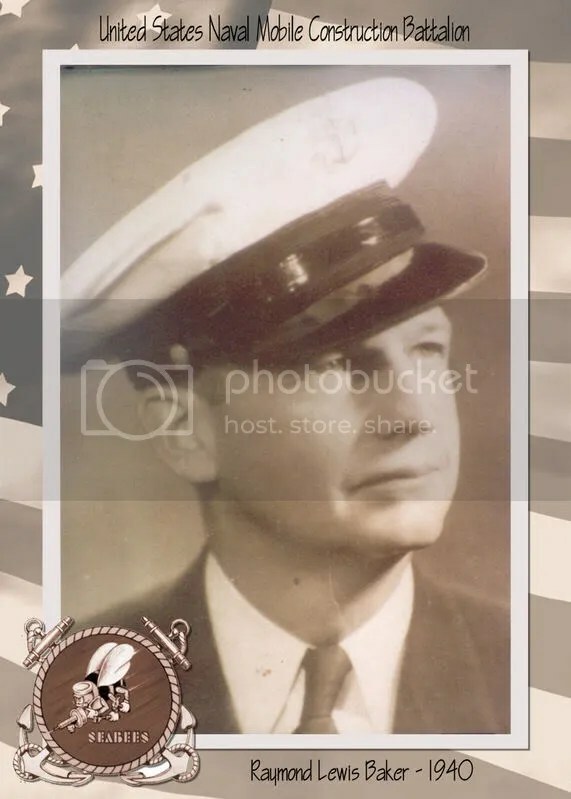 He fought and built his way across the South Pacific with “The Fighting Sea Bees.” When he came back home after the war he never mentioned it or anything he went through during it. I knew he landed with the Marines on many islands and on one the Sea Bees beat the Marines ashore. I knew somehow he ended up with two broken eardrums but still fought on. Dad left his footprints across the pacific toward Japan until the war ended. When I saw those blue stars in those windows turning to gold during the war it broke my heart. I swore a silent oath if the country needed me I would answer the call. By now Dad’s footprints had long been washed or blown away. So as I went across the Pacific during the Korean War I wondered if I had stepped into Dad’s footprints anywhere along the way. Years later my oldest son also joined the “Sea Bees” and I don’t know if he had stepped where I had stepped. Like my Dad and I, Bill never talks about his service time. All three generations of footprints are now gone but hopefully the steps were not in vain. Maybe somehow or somewhere we managed to help some one and our great Country. We were so lucky. We all made it back. So many brave men never did. Some didn’t even get to be buried in the land they so gallantly defended. History will never record the names of these men, but in our hearts we will always cherish them. That’s why, we the lucky few veterans gather at Veterans Park the eleventh month, on the eleventh day, at the eleventh hour and ring the bell for them. Abe said, “They will little note nor long remember”. However every veteran or family member who has lost someone will never forget. That’s a wonderful tribute and rememberance for all those who have served our country.